Free 3GP Video Converter is a converter which can convert any video files to *.avi, *.mp4, *.wmv, *.mkv, *.flv, *.swf, *.mov, *.3gp, *.m2ts or *.webm formats. 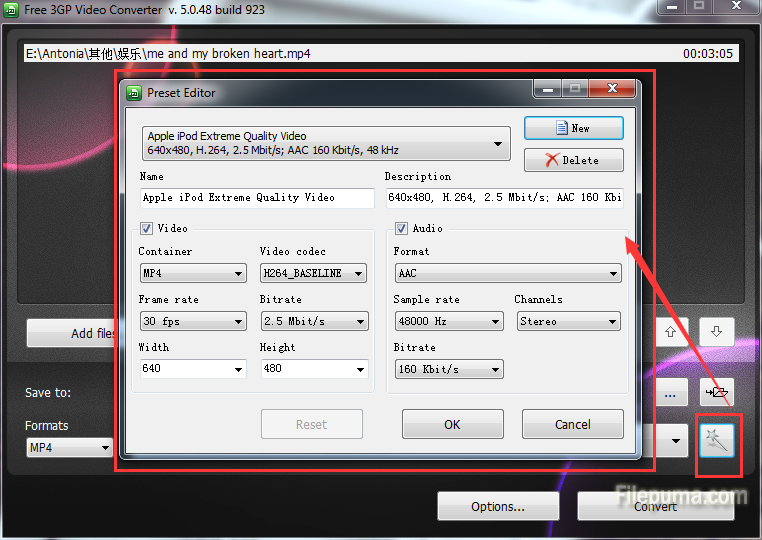 Extract audio MP3 from video files. This Free 3GP Video Converter contains no spyware or adware. It’s clearly free and absolutely safe to install and run. Here is an instruction to how to use it. 4. Select output location by clicking the “Browse…” button. Click Ok.
5. Select formats you need, like AVI, MP4, WMV, MKV, WebM, FLV, SWF, MOV, 3GP, M2TS or MP3. 7. Click the Convert button to get the file you want.